You must have found out about the massive trend of internet users preferring their native language over English while browsing the internet or purchasing goods. 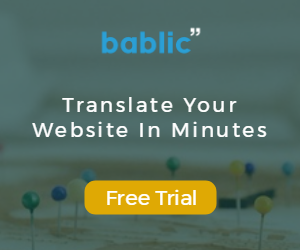 While doing your own research, you have likely come to the conclusion that website translation can be beneficial to your business and may help you expand your venture cross-border (or even globally). The data is solid, so you probably decided that it’s a good idea to go for it. So you start looking. 1. How Secure Is My Business’ Data? Nothing is coveted more than data today. Millions are being spent on mobile phone applications only to help collect personal data, which is priceless in today’s digital world. Proceed only when you are fully sure that your data is in safe hands. 2. How Are Your Translation Services Different? This question acts as the best filter when it comes to deciding which translation service provider to choose. The more elaborate and eloquent an answer is, the easier it will be for you to make a selection. Finding out what makes a particular company different from others will help you inch closer to the one that will boost your business. Asking this question will help you understand the translation industry better and after speaking to 2-3 different companies, you will develop a fair idea about how exactly a translation service may help you and, hence, you will be able to save yourself from getting a raw deal. 3. What Do You Offer In Terms of Customer Support? Once you have paid for the services, customer support is the only aspect that you should be concerned about. In fact, knowing how you will be helped when you are stuck will help you make a better decision while selecting a service. 24X7 customer support is what one should look out for in today’s fast-paced age. 4. What Are the Hidden Costs? In order to woo customers, service providers often display rates on their websites without service charges, taxes etc. The displayed price is often too less compared to the actual price the buyer will pay. Besides, service providers also charge separately for some of their featured services, whereas a buyer remains under the impression that everything will be included in the price they pay. Make sure you have enquired about all the hidden costs before making the final call.